A stunning large oil on canvas by the Scottish nineteenth/ twentieth century artist William MacDonald. 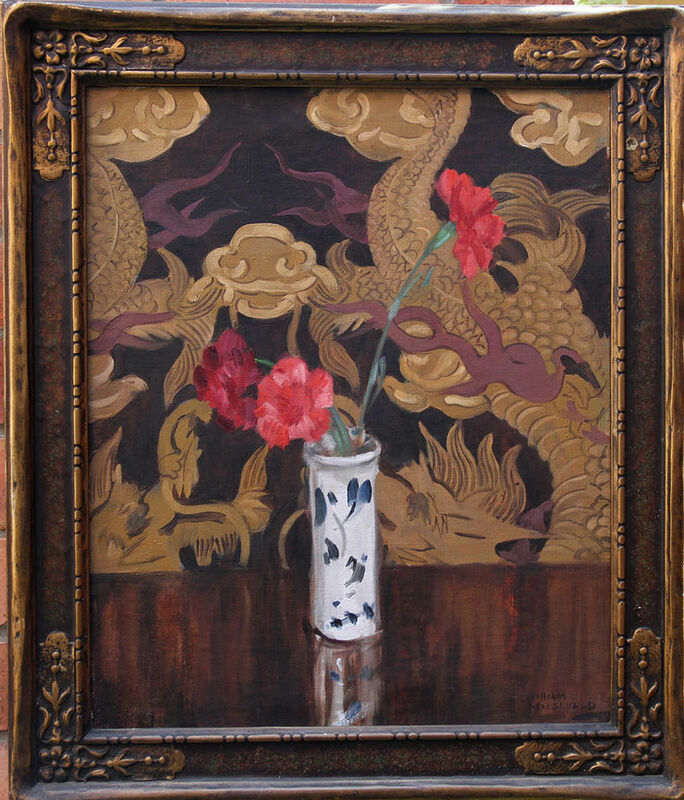 Painted circa 1900 with beautiful light and delicate brushwork, it is a real gem. A fine example of the Scottish Glasgow school painting influenced by the "Mackintosh" Glasgow Boys and Girls. A museum quality painting. The painting is in gallery condition and is signed lower left. Housed in an original, hand made period frame. 30 by 26 inches. Gallery condition. William MacDonald (1883-1960). Often known as 'Spanish' MacDonald, he was born in Scotland but trained in Paris and Madrid, learning etching and painting. His best work was inspired by his love of Spain and he was particularly successful at capturing the harsh arid landscape. MacDonald returned to Scotland before the First World War and lived in Dundee where he met and taught Beatrice Huntington: they married in 1928. 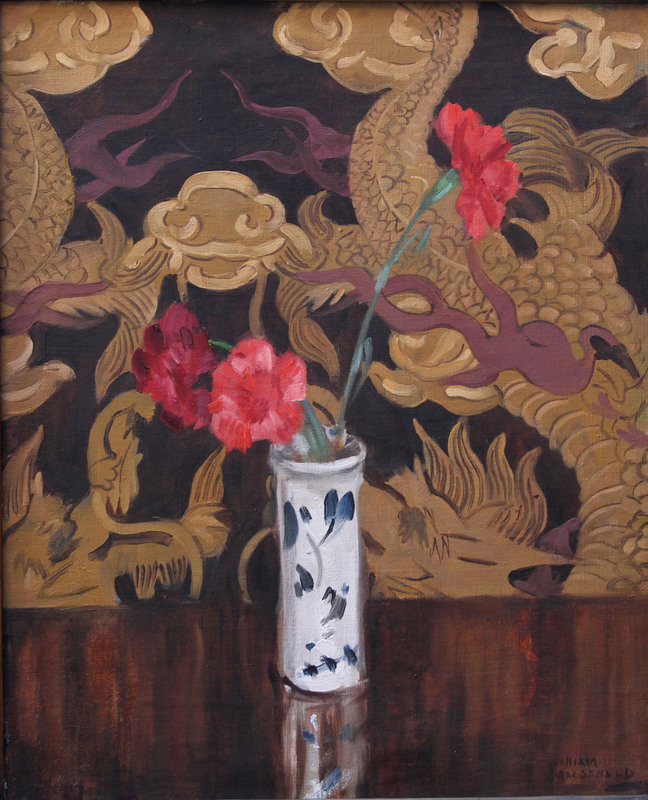 After the First World War he became friendly with Cadell and Peploe. MacDonald exhibited widely including SSA and RSA and produced striking and bold portraits. He was an active member of the Scottish Arts Club. MacDonald died in Edinburgh in 1960.